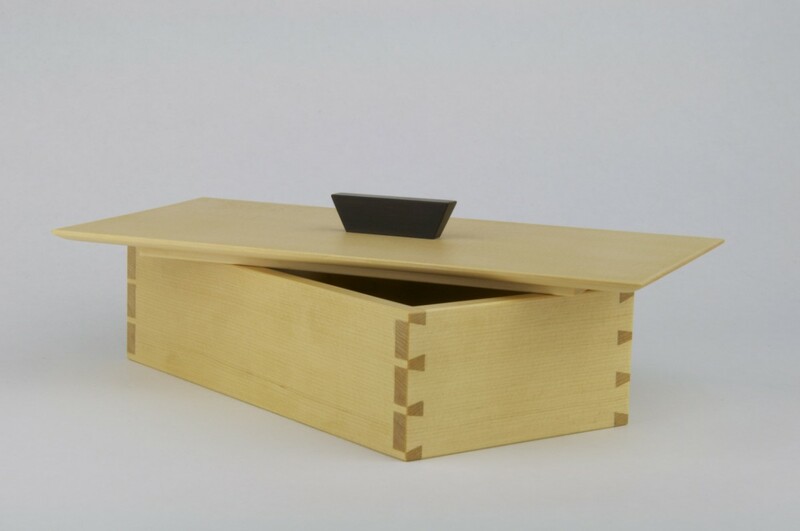 The light color and fine grain of Alaskan yellow cedar lend this piece an air of delicacy, reinforced by the diminutive, hand–cut dovetails at the corners. 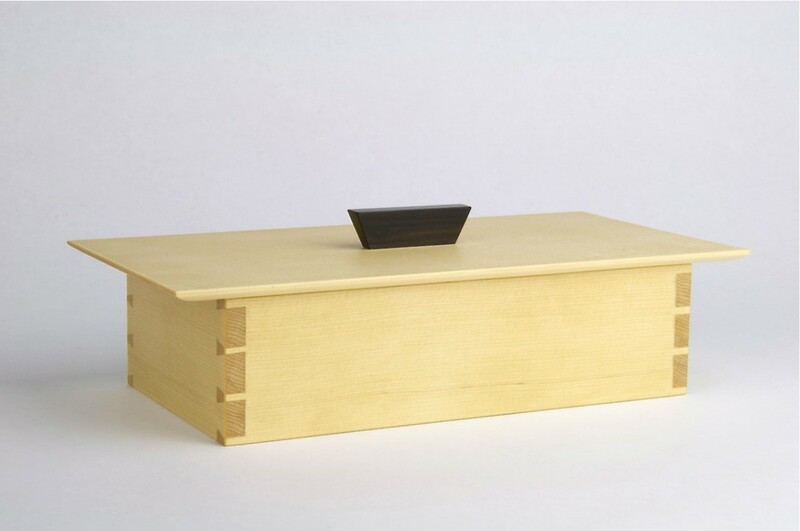 Its sides and lid are made from a single piece of wood, cut to ensure that each component exhibits tight, straight grain. 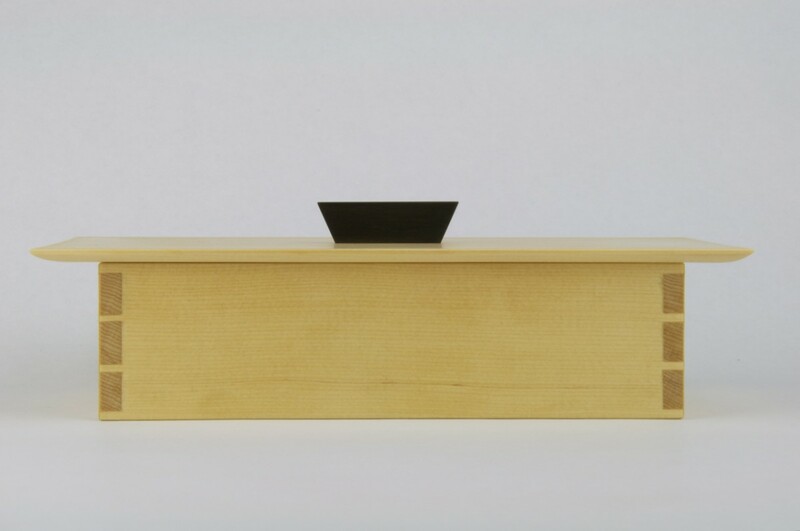 The sides were carefully sawn and arranged so that the figure flows continuously around the base. 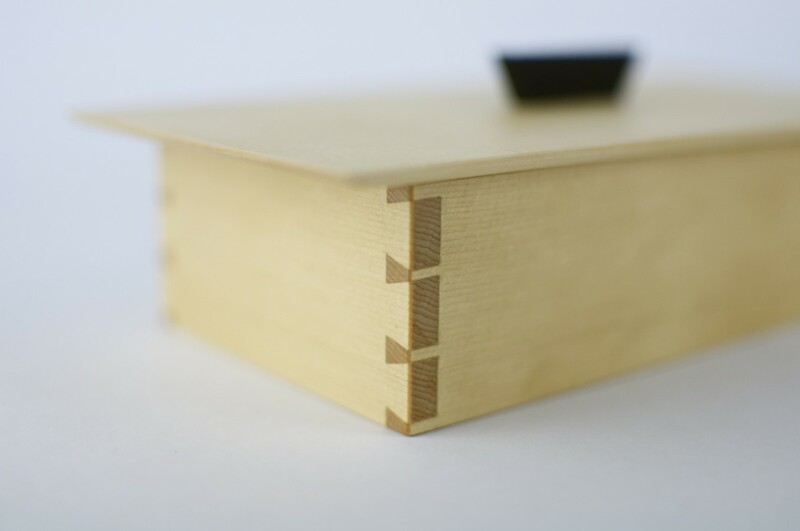 The lid shows the shimmer of ray cells between the usual grain lines, an effect achieved through precise cutting and planing. Two special touches complete the box. 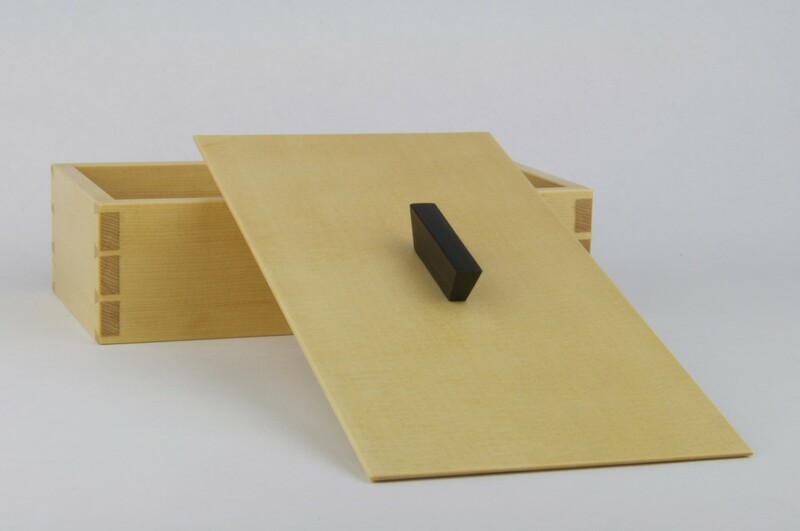 The pull on top is solid Macassar ebony, whose light brown streaks accord nicely with the lighter hue of the cedar. 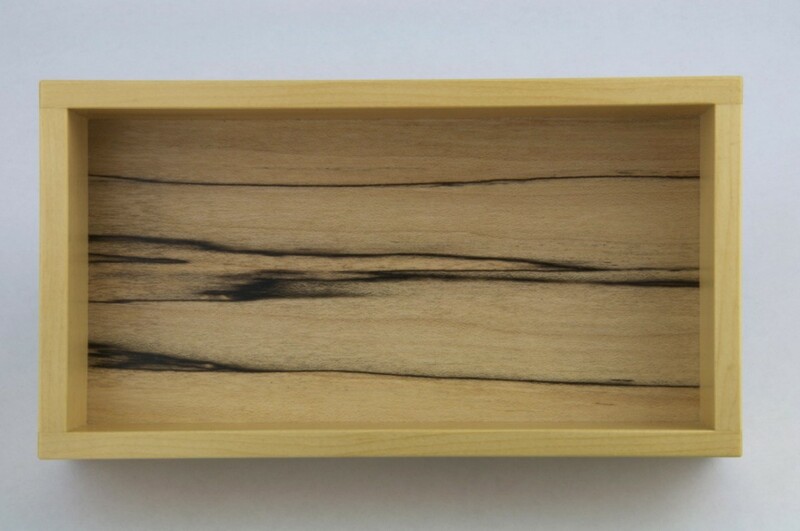 Removing the lid reveals a solid bottom of dramatically–streaked spalted maple.